Andrew Murray, who strongly believed that missions are the chief end of the church, never tired of spreading the word about the powerful work of the Spirit through the blood of Christ. In both his sacrificial life and his writings, Murray explained the mystery of Christ's blood as our precious source of life. 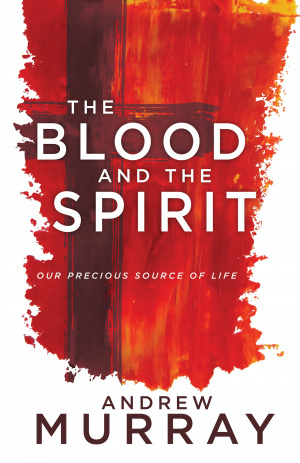 In The Blood and the Spirit, he reflects on the tremendous power that Christ's blood has for each of us if we accept it as our rightful inheritance and rely upon it to protect and enable us to accomplish our purposes in God. It will fill you with a true, solemn thanksgiving for Good Friday and a joyful appreciation of Easter Sunday. The Blood and the Spirit by Andrew Murray was published by Whitaker House in May 2018 and is our 68951st best seller. The ISBN for The Blood and the Spirit is 9781641230230. Be the first to review The Blood and the Spirit! Got a question? No problem! Just click here to ask us about The Blood and the Spirit.